Noticing that your wood floors are uneven or seem to be buckling lately? You could have an unforeseen water damage problem that has caused the porous wood to absorb water and expand however they can. SERVPRO of Western Dutchess County has the knowledge, extensive experience and trained technicians to mitigate the damage of your floors, better than new and "Like it never even happened." Construction begins for installation of our new Content Cleaner! Stay tuned to see what SERVPRO of Western Dutchess County's amazing equipment can do to help make content damage "Like it never even happened." Frozen pipes equals big water damage in this Dover commercial facility! 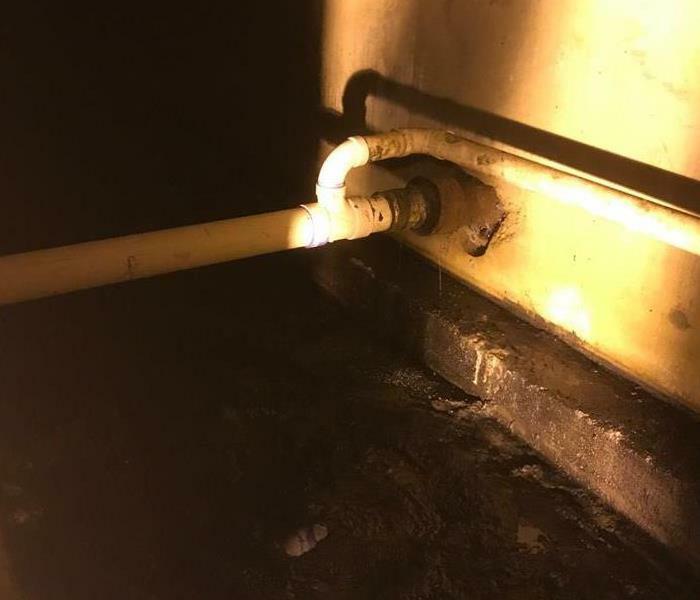 The Hudson Valley had been dealing with some frigid temps this winter which resulted in a large number of businesses and residences experiencing burst pipes, standing water, sheetrock coming down and soaked contents! 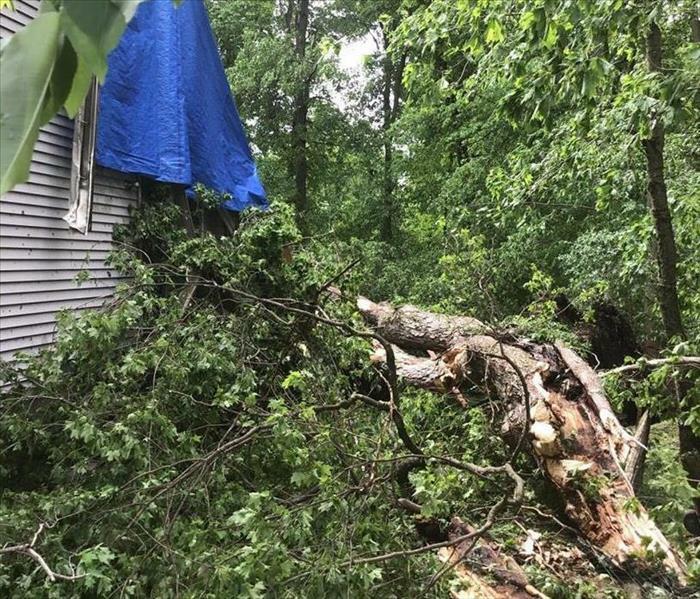 SERVPRO of Western Dutchess County has the expertise and equipment ready to help make the damage "Like it never even happened." Call us 24/7 no matter the damage, we're the restoration experts and are faster to any size disaster, 845-831-3600. 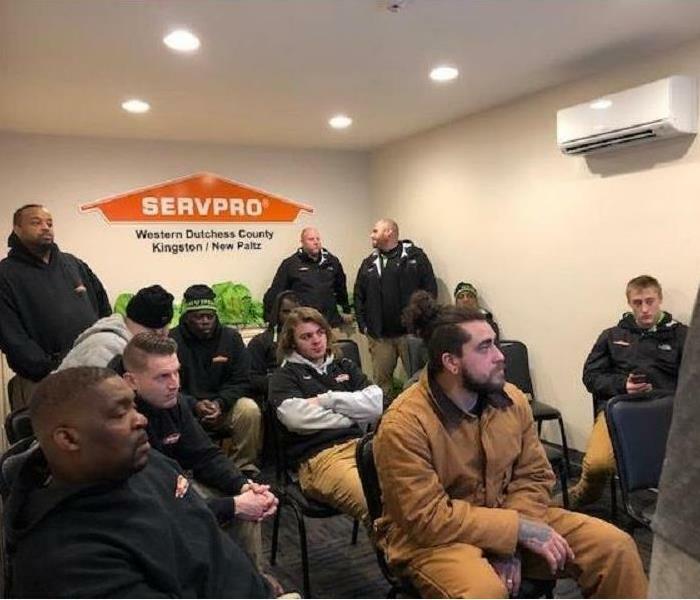 At SERVPRO of Western Dutchess County, there are always improved products to educate our teams on so we can better serve our clients. Always learning new ways to improve our services! Because the needs of our clients, insurance companies and programs are always evolving, SERVPRO of Western Dutchess County makes it a priority to keep every member of our team from office staff, estimators, production managers and techs and marketing representatives in the know of the most current and tech-forward programs out in the industry. Fresh learning and continuous education is a win-win for everyone! A peek into how SERVPRO secures your contents! 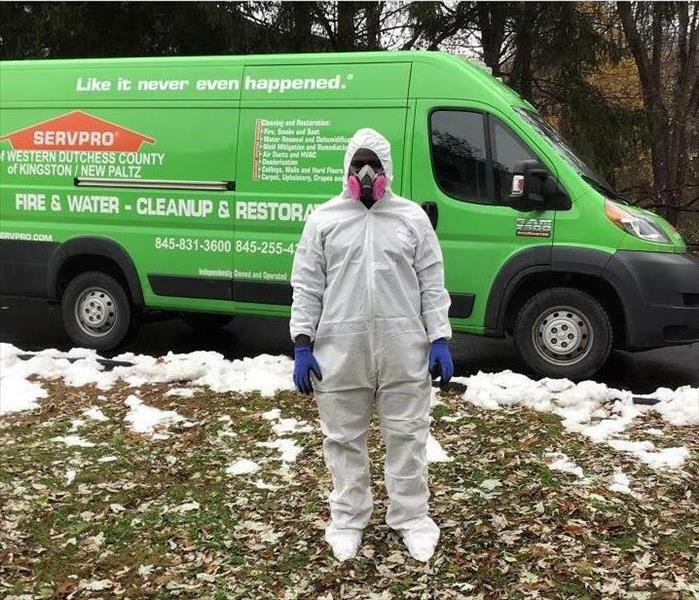 When contents from a fire and or water damage need to be cleaned and then stored, our teams at SERVPRO of Western Dutchess County takes care of it all! 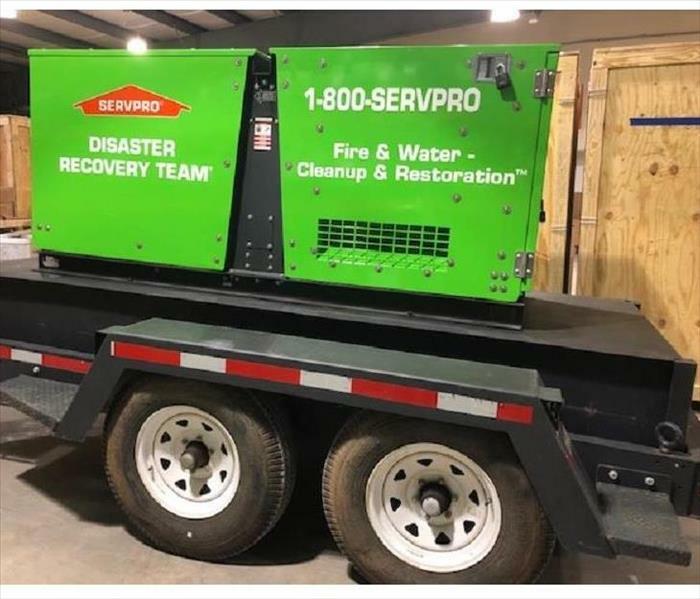 This is just one of the services that is always offered here at SERVPRO of Western Dutchess County, call us 24/7 for any size disaster, 845-831-3600. This big fella' is crucial in large losses! This is just one of our massive 50 kilowatt generators and keeps all our machines running as long as we need them at any large loss! We just completed a large-scale water damage situation and this beast barely flinched running day and night while powering 47 air movers and 17 dehumidifiers. When power is disrupted, there may be an immediate need for emergency power. Don't let power disruption stop you from restoring your property. SERVPRO of Western Dutchess County, we'll make it "Like It Never Even Happened." Loading up for a large loss! Large losses like the one our teams are heading to in Poughkeepsie, require all different types of machines and lots of them! This is only a small section of what will end up at a large, commercial water loss due to many variables like number of floors, electricity, temperatures, etc. 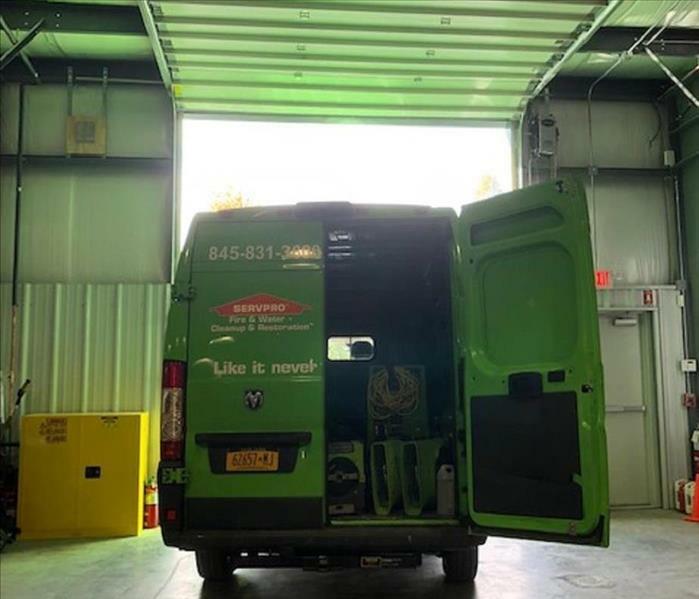 SERVPRO of Western Dutchess County has everything needed right at our warehouse, just one of the many reasons we're faster to any size disaster! 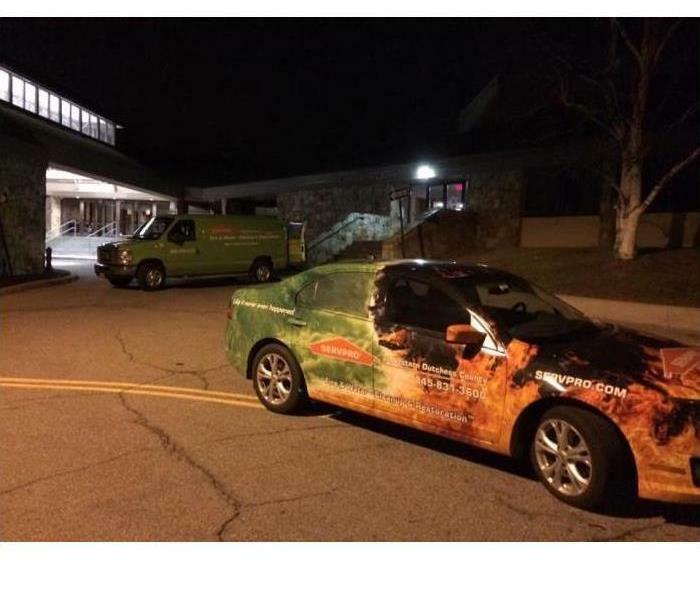 SERVPRO of Western Dutchess County is always ready and faster to any size disaster. Each of our trucks are packed and ready no matter what the damage is from any size storm. From dehumidifiers to air movers to moisture meters and sensors to extractors and ozone machines! No matter the disaster, SERVPRO of Western Dutchess County is prepared at all times to make it "Like it never even happened." 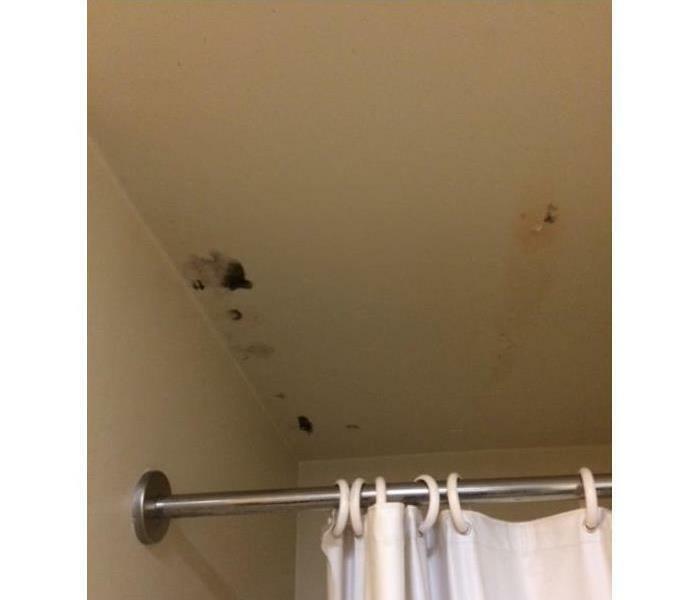 This building in a condo community in Fishkill thought a small leak in the roof was only a minor thing and could wait to be fixed. That was, in fact, not the case as the leak got worse and caused this water damage to a common area ceiling that affected 2 units. Call us at 845-831-3600 if you have water damage that needs to be taken care of, we'll make it "Like it never even happened." This is only part of the damage to a living room carpet and sub-floor that was soaked by a faulty hot water heater. Water will always seek a way out and there is usually some destruction on it's mind. Water damage? Don't wait to have it taken care of, call SERVPRO of Western Dutchess County for any aspect of water damage, 845-831-3600. 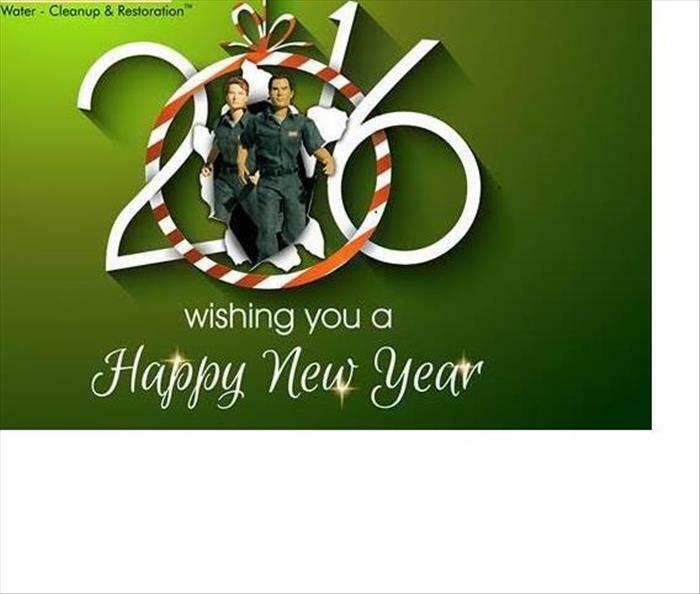 SERVPRO of Western Dutchess County, ready for anything! 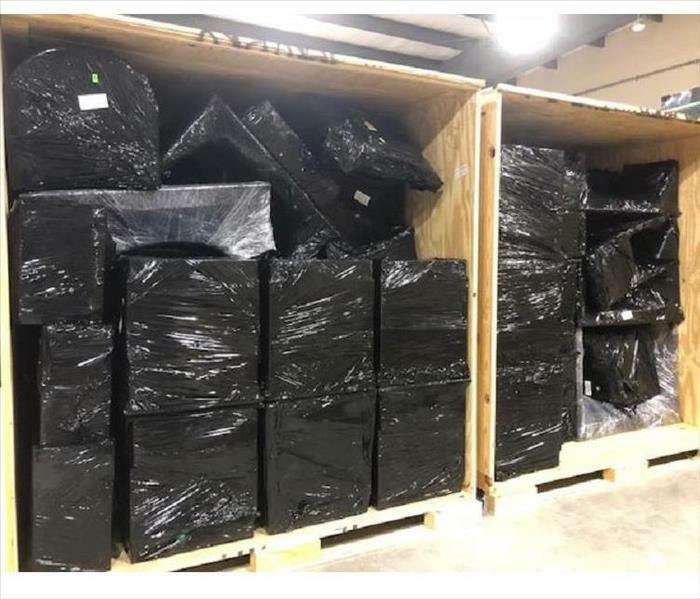 This is only part of our warehouse, we've got contents stored after being cleaned and ready to go home and lots of equipment ready to go at a moment's notice! 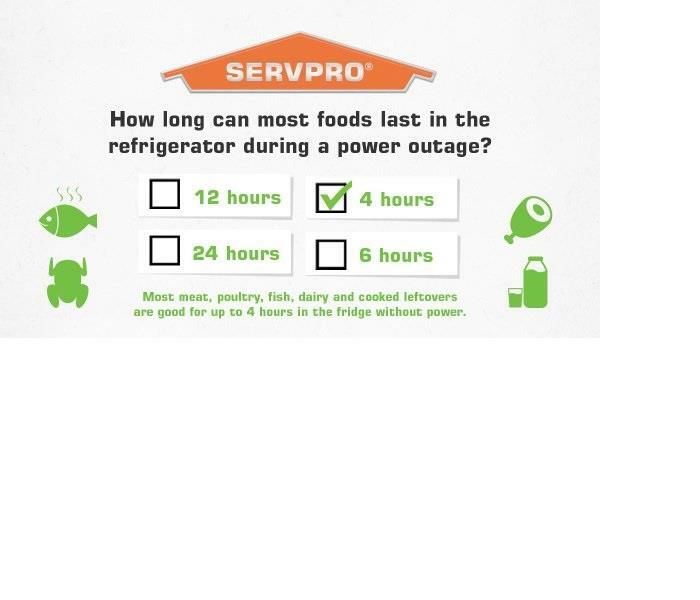 Just one of the ways SERVPRO of Western Dutchess County is faster to any size disaster! The safety of our employees is paramount no matter the situation. No one should enter a damaged area without the proper equipment. Questions about safety precautions? Call SERPVRO of Western Dutchess County to get some peace of mind! 845-831-3600. SERVPRO of Western Dutchess County's experts were put to work handling mold remediation at a local school district. Our trained technicians worked effectively and efficiently to make it "Like it never even happened." Dirty ducts can circulate odors and contaminants like mold and irritating dust throughout your home. 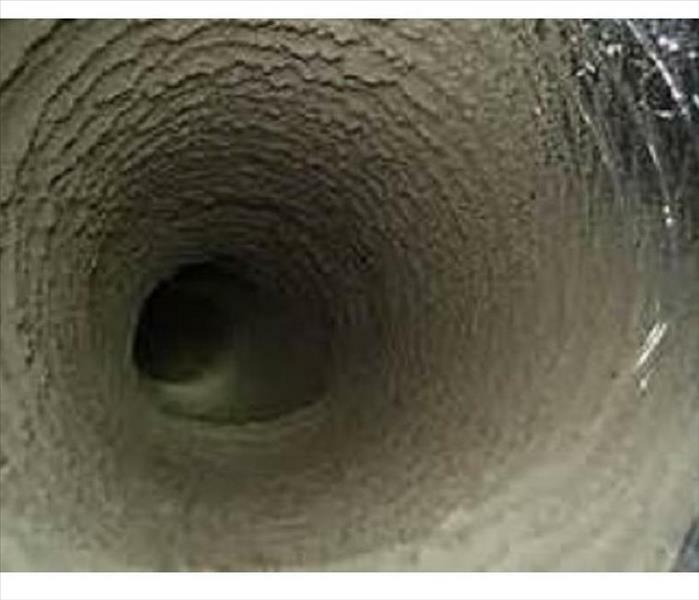 SERVPRO of Western Dutchess County uses a proven Portable Ventilation and Duct Cleaning System to examine duct work and make a clean sweep, removing years of dust and grime. A puffback is a messy furnace malfunction that occurs when an oil burner backfires, sending soot throughout your home or business. 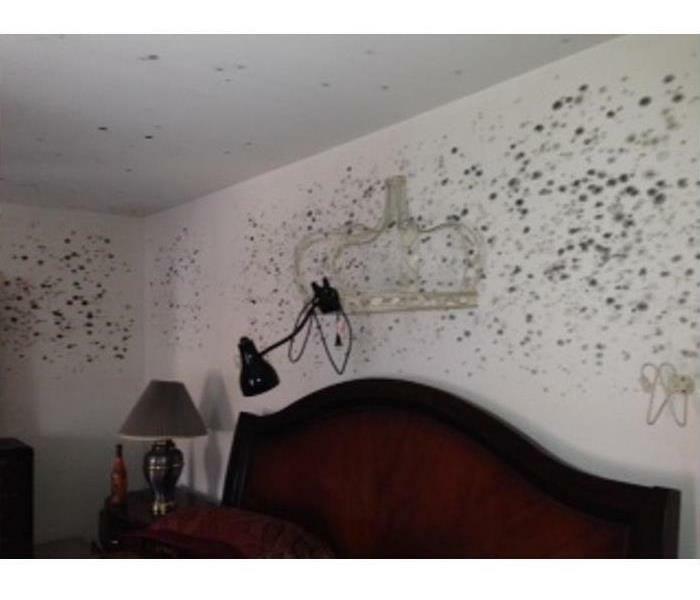 It can happen all at once, or it can leak soot particles gradually over time. Equipped with the training, tools and experience to quickly and efficiently clean and restore your home or business, SERVPRO of Western Dutchess County will help make it "Like it never even happened." A Realtor was in for a surprise when starting the selling process and discovered what was lurking inside. Needless to say, once SERVPRO of Western Dutchess handled the mold remediation and rebuild of several areas in the home, it showed beautifully and sold quickly! A tree came down on the back of a home during a winter storm and caused water damage to the first floor. SERVPRO of Western Dutchess removed all the flooring, took care of all the water extraction, dried it all out and restored the family room "Like it never even happened." Fire damage in a home is a very stressful event for a homeowner, damage to personal belongings are just some of the concerns you may experience. SERVPRO of Western Dutchess County has trained response teams who will care for both you and your home and respond quickly with a full line of fire cleanup and restoration services. Call our professionals anytime, we're available 24/7. 845-831-3600. Excessive dampness encourages growth of mold. 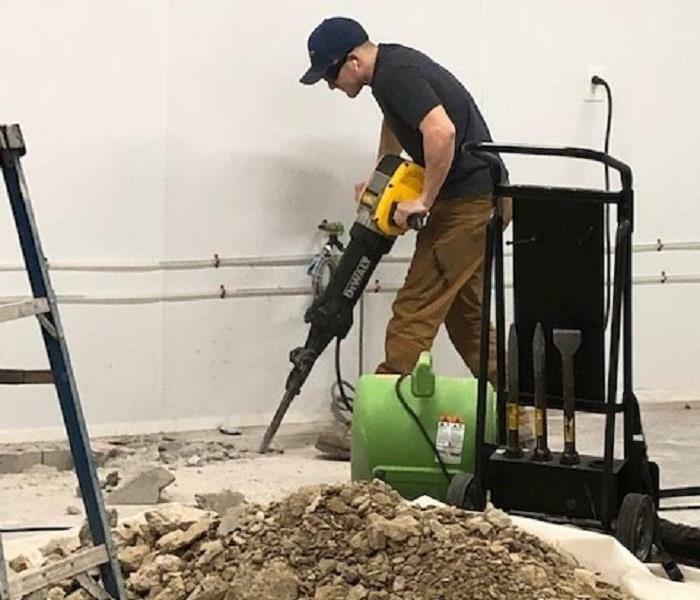 Water extraction is just one of the many services we have available for any business in Dutchess County that might have suffered a water damage event. Call SERVPRO of Western Dutchess County for ANY disaster restoration services, we're available 24/7 at 845-831-3600. No one could've anticipated the water flow coming down the hill, over the road and directly into several office buildings in Wappingers Falls after yet another large amount of rain into already-saturated areas. 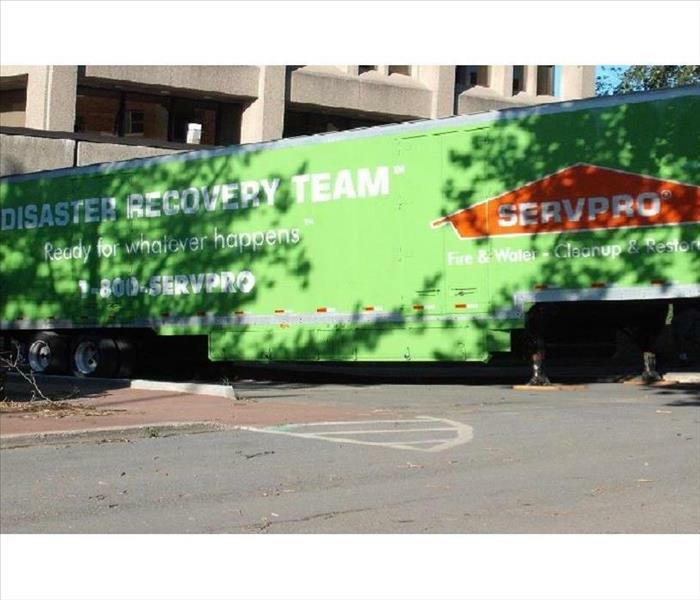 SERVPRO of Western Dutchess County brought in the Disaster Recovery Team and trailer to mitigate and restore thousands of square feet of office space! Help when you need it most, SERVPRO of Western Dutchess County 845-831-3600. A medical office in Poughkeepsie sustained water damage from a water fountain and they need to get back to helping patients quickly! 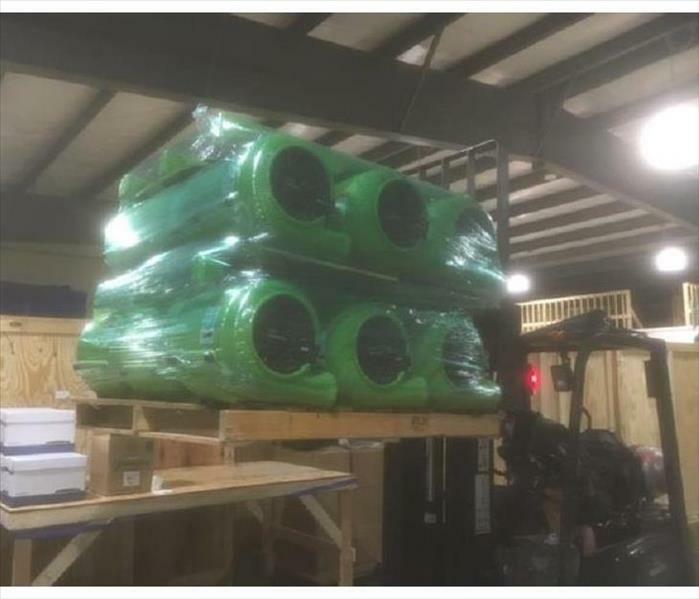 SERVPRO of Western Dutchess County loaded up the needed water extraction and drying equipment and got to drying everything out with ease and efficiency. With any leak, it's the water you don't see that causes the most damage. Call SERVPRO of Western Dutchess County at 845-831-3600 no matter the time or day so we can make it "Like it never even happened." 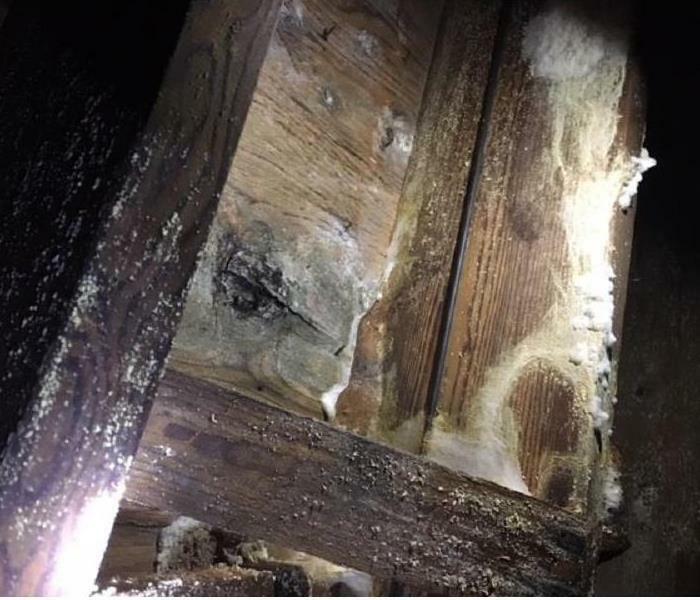 After this homeowner returned from her winter in sunny Florida, she walked in to a home filled with mold due to a pipe break that occurred during the brutal winter we had. SERVPRO of Western Dutchess County was able to remediate the mold, sort through salvageable vs. non-salvageable items & perform reconstruction services to return this woman's home back to preloss condition! 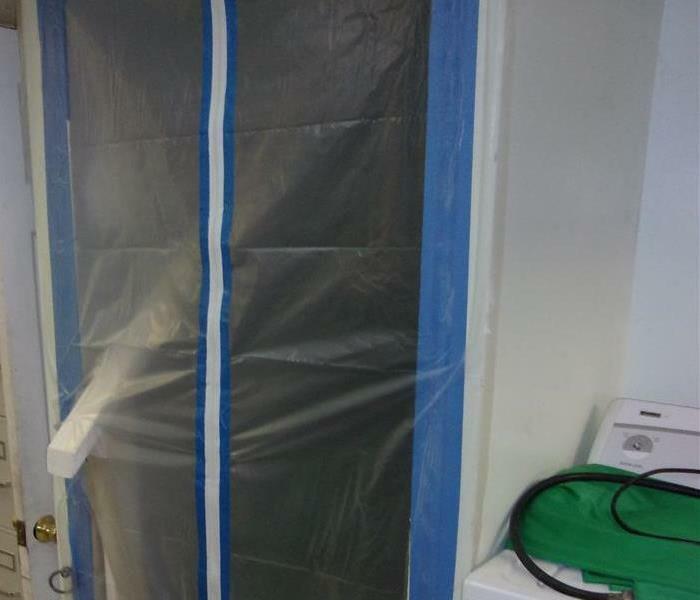 The following mold remediation happened on a college campus in the Hudson Valley during a summer break. After maintenance saw the issue, SERVPRO of Western Dutchess County came on-site and walked them through the remediation process. The remediation process took 2 days and it was ready for reconstruction! This warehouse was damaged after Hurricane Sandy swept through the area. The flooded building was recently renovated and was getting ready to be used for a new small business to open up until the storm hit. This picture shows just a small part of the devastation! This water damage is due to Hurricane Sandy! Since this facility was right on the water, the basement got the brunt of the damage. Extensive electrical, plumbing & cleaning services were required for this job and it took 6 months to complete! Over 10,000 sqft were affected! 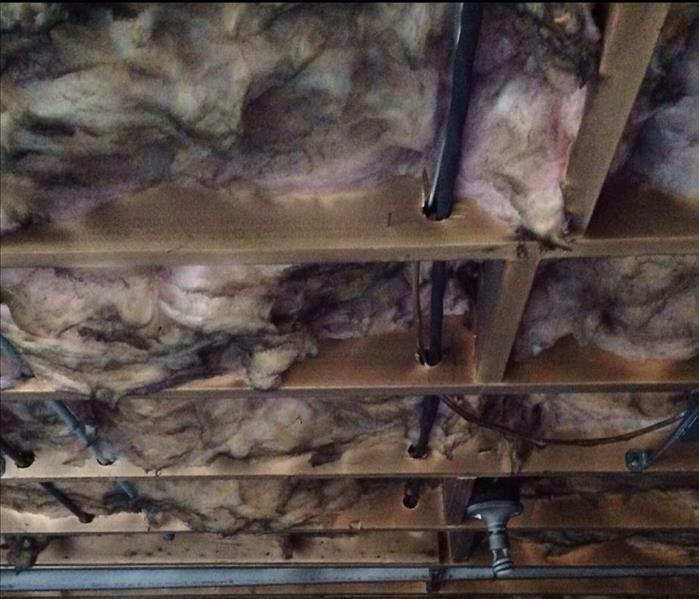 This water damage occurred after a sprinkler line broke due to the winter cold! This is an in-progress photo showing how SERVPRO of Western Dutchess County came in and removed the wet sheetrock in the hallway to expose the other side of the wall and dry the structure. 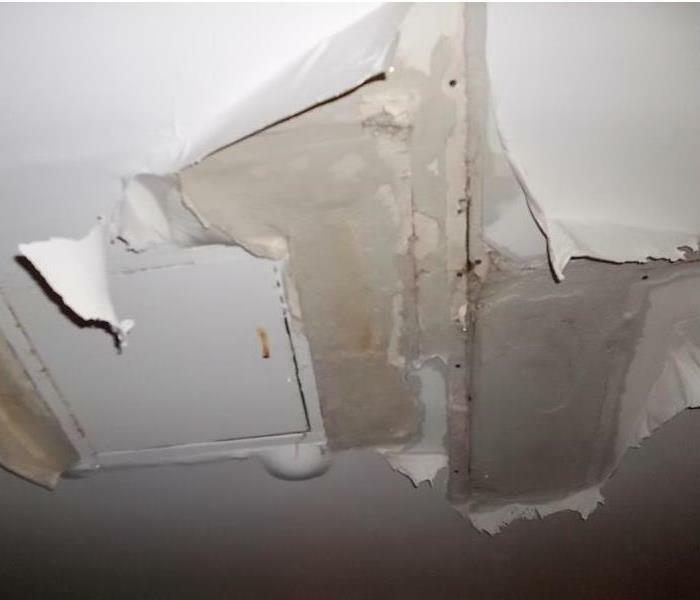 This water damage occurred in an office building in the City of Poughkeepsie. After a broken pipe during a cold spell in the winter, there were 10 rooms affected like this one. The carpet was salvageable & able to be cleaned but several rooms had their walls removed and replaced due to the extent of damage. Did you know that SERVPRO of Western Dutchess County has access to trailers of equipment & extensive access to laborers? We pride ourselves on being able to handle any job! Nothing is too small or too large for us! We brought in our Disaster Response Team to a very large water damage at a local college so that we could finish the job in a timely manner for them! They were thrilled with the end result & very pleased with the services provided! 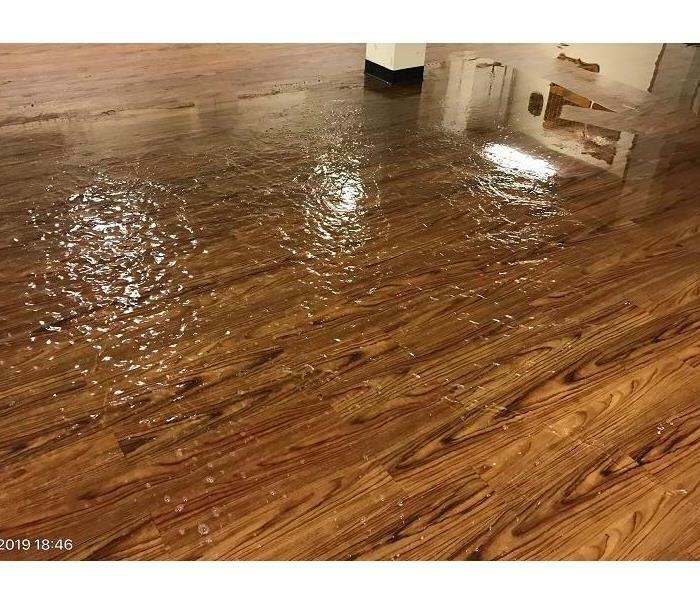 After this commercial water damage occurred in Dutchess County, NY, SERVPRO of Western Dutchess County came in and set up containment to the area of the building that was unaffected. 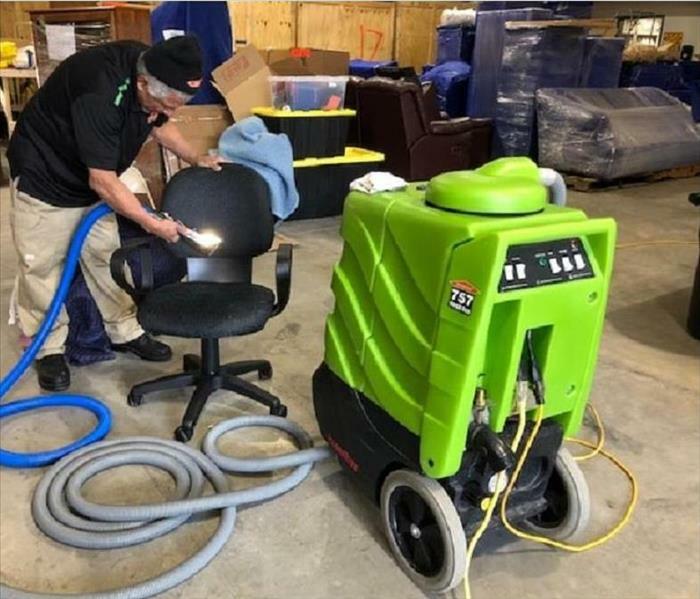 As business needed to continue as usual, SERVPRO helped move all items necessary to the side of the building that wasn't damaged and continued their water damage cleanup in the area with the broken water line. This library, in a government building in the Hudson Valley, had containment set up so that mold spores would not spread to the books. An airscrubber was also placed in the room as an additional proactive step in keeping the room "clean" while the other rooms were properly remediated. Hurricane Sandy's wrath was no match for SERVPRO! We helped put this healthcare facility back together after Hurricane Sandy destroyed it! Being that the building sat right near the ocean, the water & mud was 6 feet tall throughout the entire basement of the facility where they housed the kitchen & storage areas. This picture shows what part of the kitchen looked like after the water was pumped out. Water Damages happen to Commercial Buildings too! 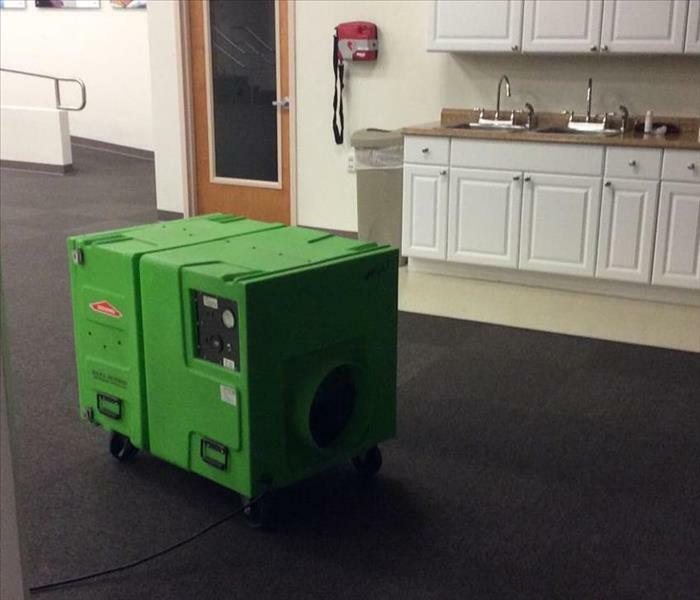 After a large water damage occurred on a local college campus in the Hudson Valley, SERVPRO of Western Dutchess County was on-site within 4 hours extracting water & drying down the structure! The broken main water line saturated not only the admissions office, security office & registrar's office, but also the main I.T. hub for the entire campus! 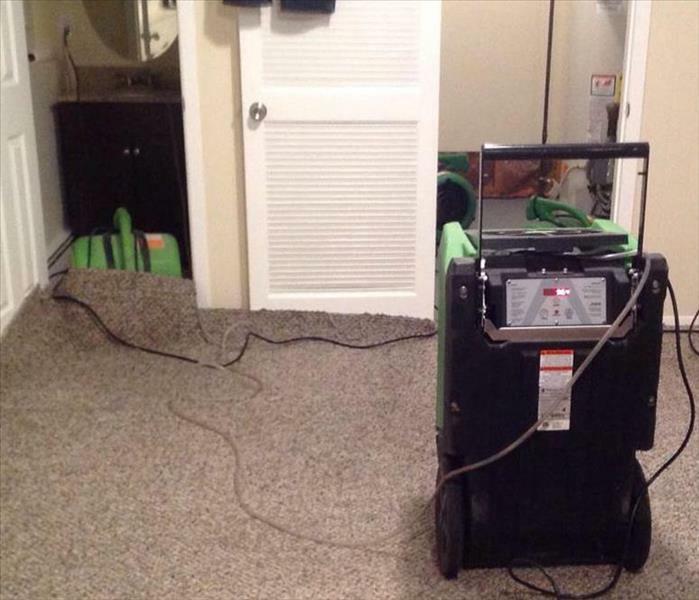 It was crucial that SERVPRO was onsite to begin services immediately & get this water damage under control. Over 5,000 sqft was affected and was completely dried by the end of the 5th day. The college was extremely satisfied & happy to resume business as usual! This home in Poughkeepsie, NY experienced a damage from a dryer in the home catching fire. SERVPRO of Western Dutchess County was able to clean down the beams and restore them to preloss condition. I clean all the time and have cobb webs in the corner of my house! What is it? IT'S NOT DUST! IT'S SOOT! 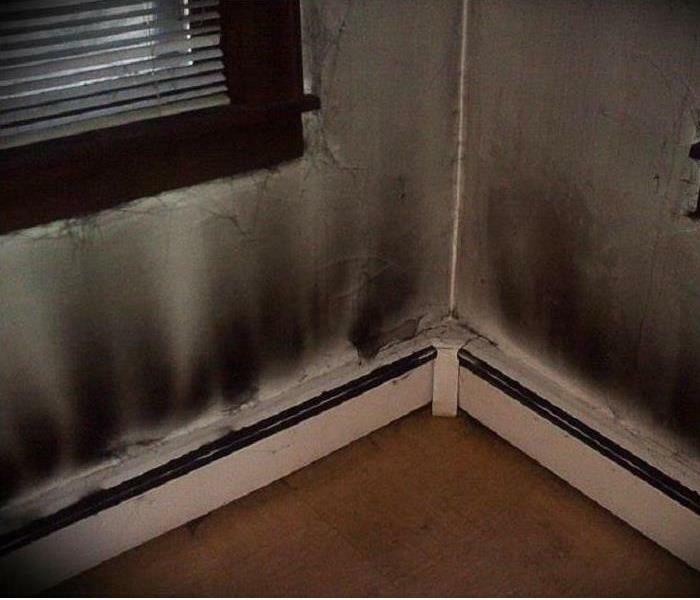 If you see soot webs, call our office at 845-831-3600! Fire damage in Dutchess County! 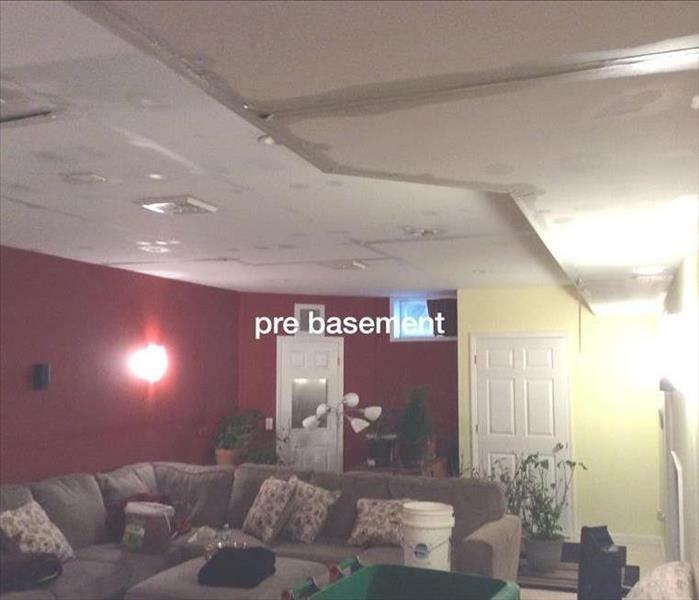 After a fire occurred in this insured's home, the basement area insulation needed to be removed. SERVPRO of Western Dutchess County was able to remove the damaged insulation, clean down the wood beams and prep the area for new insulation to be laid. The insured was thrilled that the smoke odor was finally gone! 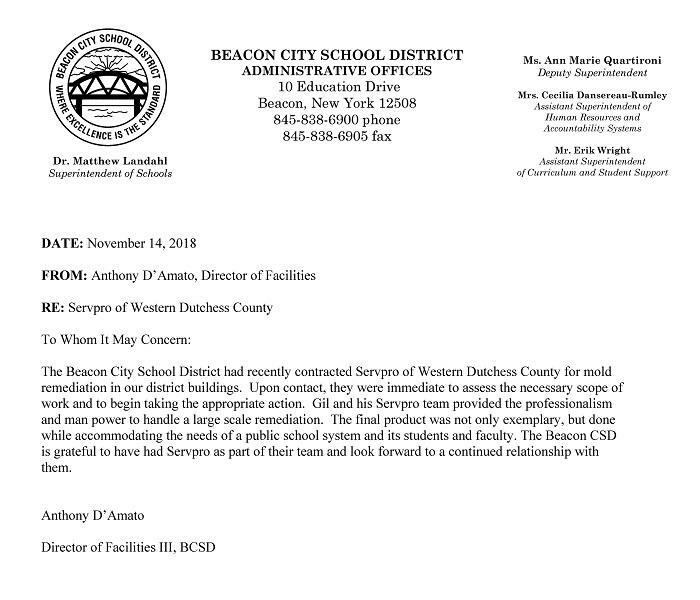 Dutchess County emergency was effectively completed and restored so that the building could open the next day for business! After the night janitor found a sewage damage at this place of business at 11 p.m., SERVPRO of Western Dutchess County was onsite to examine and clean up the damage! 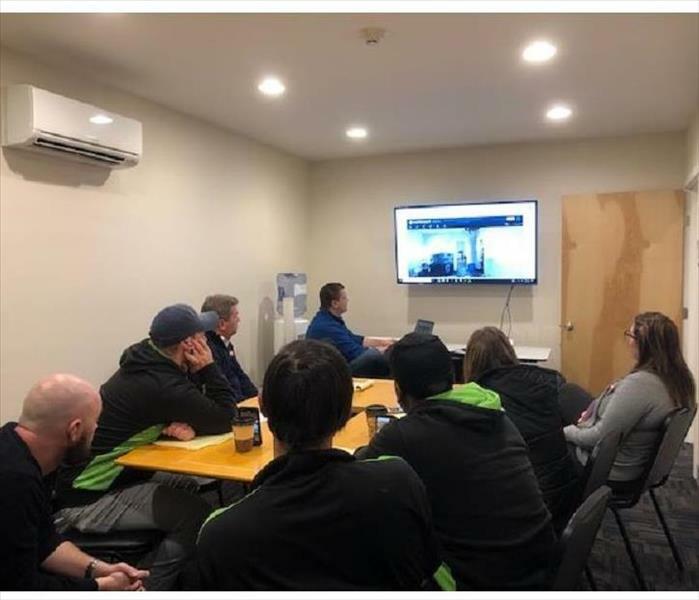 The facility manager expressed the importance of being able to open up first thing in the morning so SERVPRO stayed all night to make sure it happened! Mold Remediation in Poughkeepsie, NY! After a cold winter, these snow birds made their way back to their home and found that they had mold on their second floor. SERVPRO of Western Dutchess County set up containment at the bottom of this stairwell in order to cut off the contaminated space from the non-contaminated area. Since the first floor seemed safe, the home owners decided to stay in a spare room while SERVPRO continued to work in the upstairs space to remediate the mold. 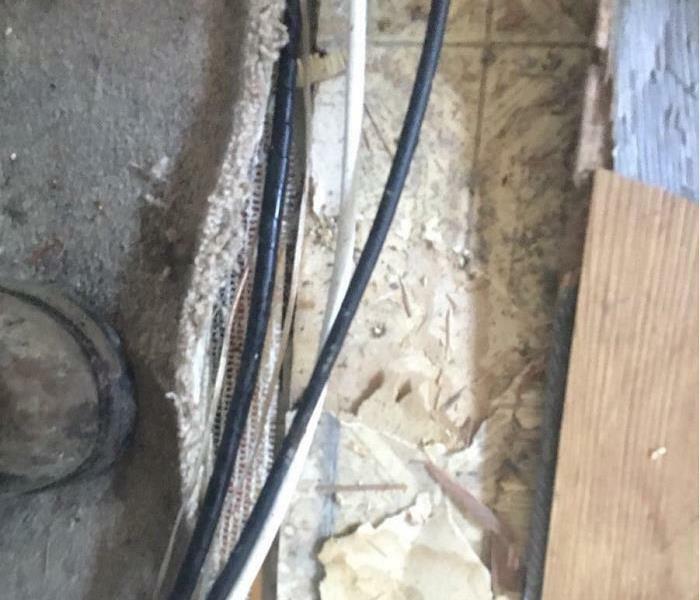 Water damage from a broken toilet line in Poughkeepsie, NY caused some serious basement issues. 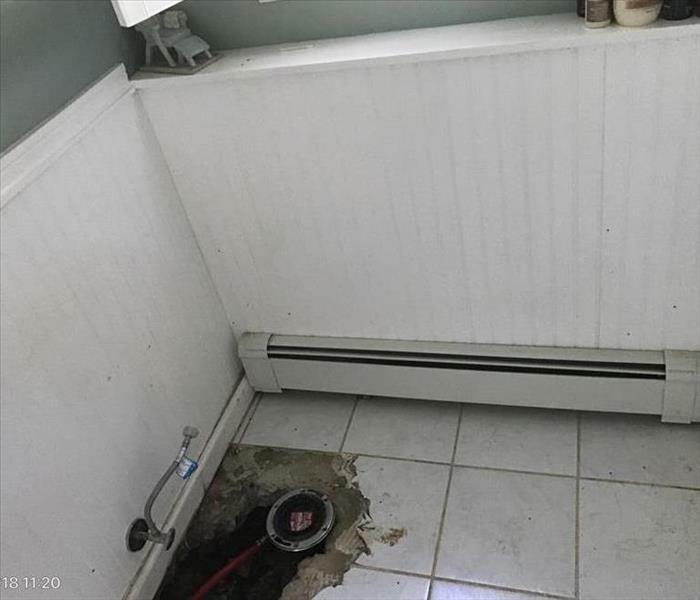 After a toilet line broke in a home in Poughkeepsie, NY, SERVPRO arrived to find 3 inches of water standing on the carpet. 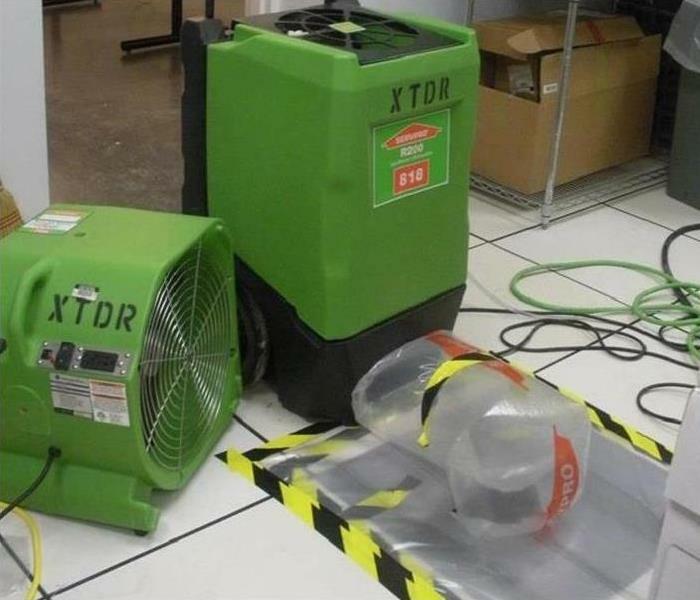 After extraction was completed, airmovers (large fans) and dehumidifiers were placed in the space in an attempt to salvage the structural items such as the carpeting. Airscrubber's in action in Beacon, NY! After a fire airscrubber's can be helpful! 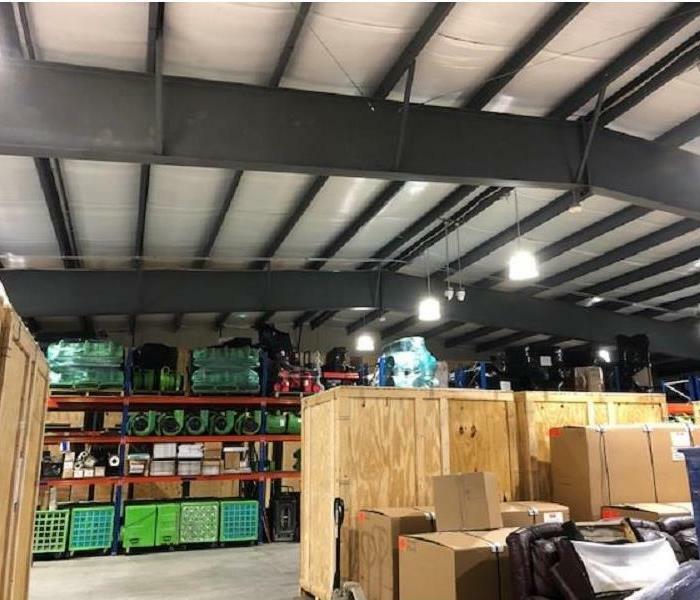 SERVPRO of Western Dutchess County added over 10 large airscrubber's into a commercial space after they experienced a large fire in their back warehouse space. The airscrubber helps to eliminate the unpleasant odors in the space. 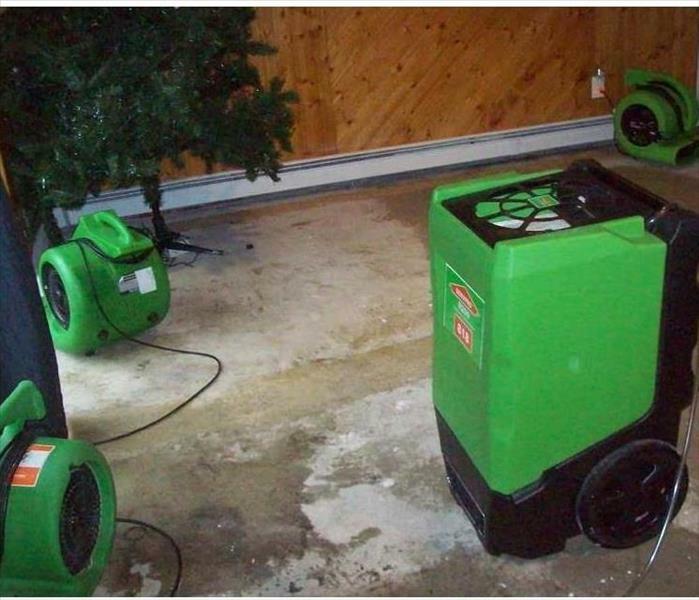 SERVPRO of Western Dutchess County can handle any size disaster! 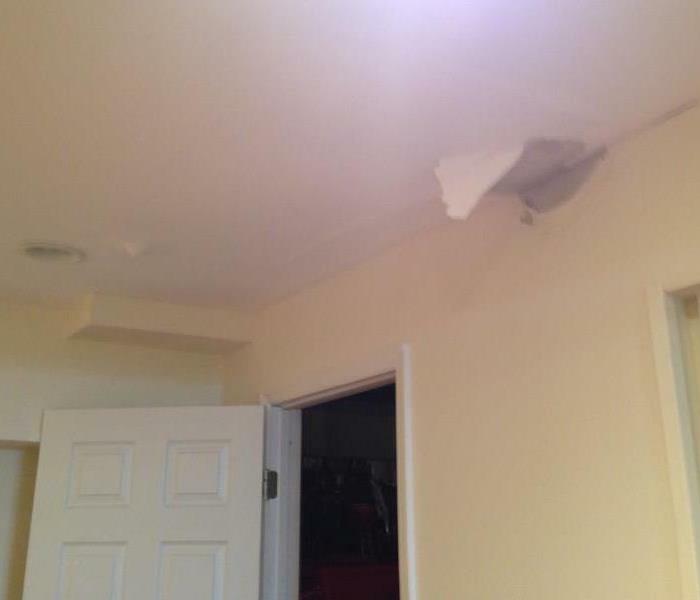 Water damage caused this ceiling to cave in at this Poughkeepsie, NY home. 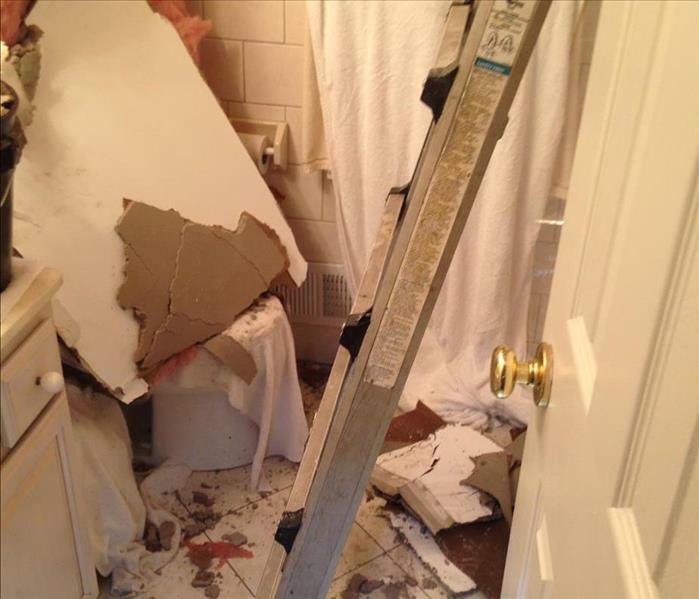 After a broken pipe burst above this bathroom ceiling, the sheetrock became so saturated that it fell through. Luckily no one was hurt! SERVPRO of Western Dutchess County was able to put this home back together in a matter of 5 days! If you see this in your home, call SERVPRO at 845-831-3600! 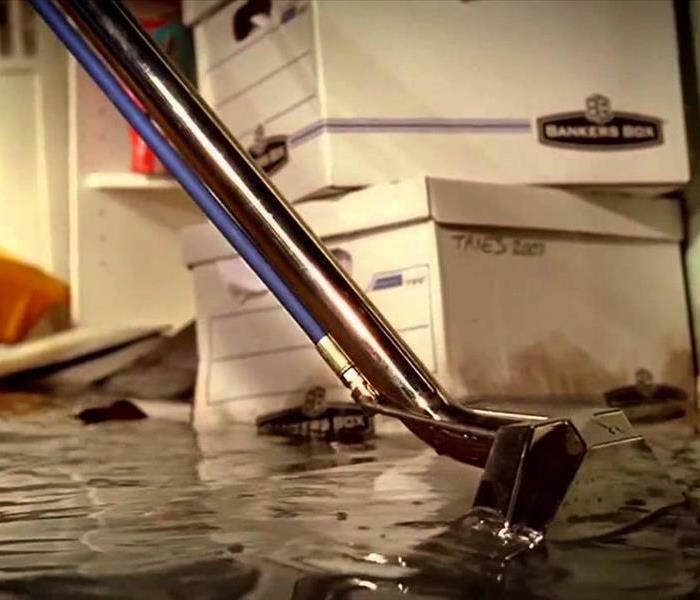 Want to help prevent water damage in your home? Call SERVPRO at 845-831-3600 for a FREE Water and Gas Shutoff Tag! 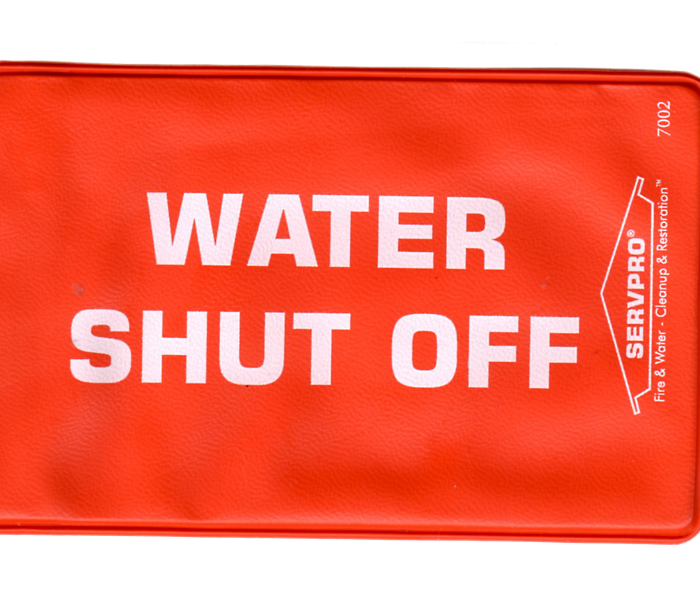 Know where to shut off the source to avoid large amount of water and damage to your home! 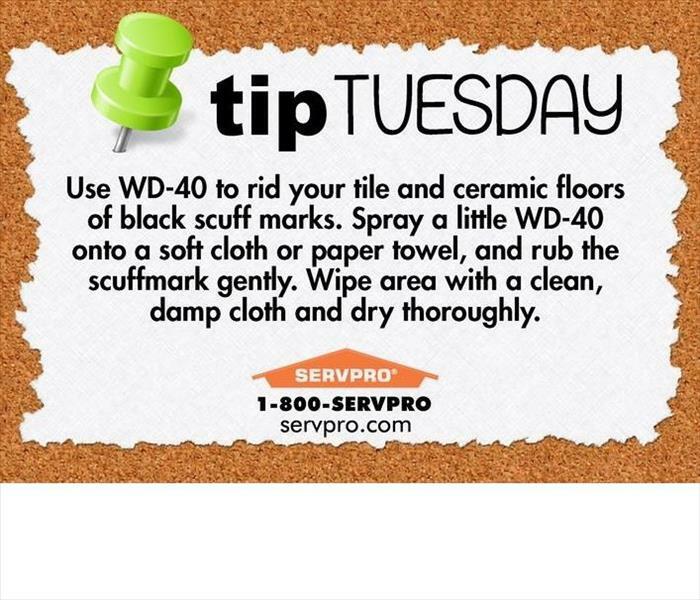 SERVPRO Tip of the Day! Check out the tip of the day! Go to https://www.facebook.com/SERVPROWDC/ for more info, contests and prizes! Have a water damage? Call us today at 845-831-3600! We're available 24/7 to help make it Like it never even happened.